Modern technology sounds great when it work... when you're inside the tour bus and its time to hook up with the nations funniest Bee. You gotta stick to what you know. Its big city studio equipment not a phone App. 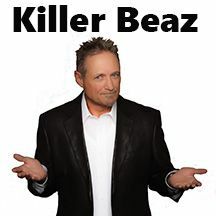 This week Killer Beaz talks about Southern words that match every emotion. Plus the Top 10 Holiday gifts to share with everyone you love!! !